Southern senior Paige VanMeter blasts a home run during the Lady Tornadoes’ victory over Federal Hocking on Tuesday in Racine, Ohio. Southern senior Sydney Cleland delivers a pitch during the Lady Tornadoes’ victory on Tuesday in Racine, Ohio. RACINE, Ohio — Double the fun. 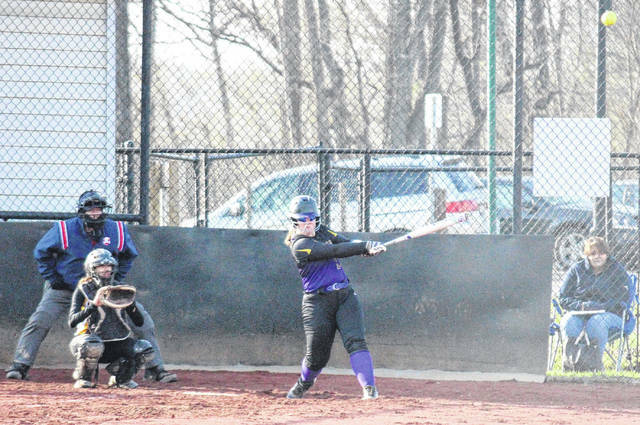 The Southern softball team picked up a pair of Tri-Valley Conference Hocking Division victories on Tuesday at Star Mill Park, defeating Federal Hocking by counts of 16-2 and 18-3 in mercy rule fashion. In the opening game, Southern’s (7-2, 6-1 TVC Hocking) first three batters drew walks, and Paige VanMeter brought them around to score with a grand slam home run. Kassie Barton singled home Lauren Lavender singled home with one out in the bottom of the first, stretching the Lady Tornado lead to 5-0. With two gone in the first inning, Jaiden Roberts and Sydney Cleland hit two-run doubles, extending the advantage to 9-0. In the second frame SHS increased its lead to 12-0, as Barton and Shelbi Dailey scored on a bases loaded walks, and then Cleland singled home Baylee Grueser. Both teams were scoreless in the third inning, and Federal Hocking broke through for the first time in the top of the fourth, as Mayle doubled home Gillian and Gould. In the home half of the fourth, Grueser scored on a groundout by Josie Cundiff, and then with two outs, VanMeter blasted a two-run home run that gave SHS a 15-2 lead. The final run of the Lady Tornadoes’ 16-2 win came as Dailey singled home Lavender in the bottom of the fourth. 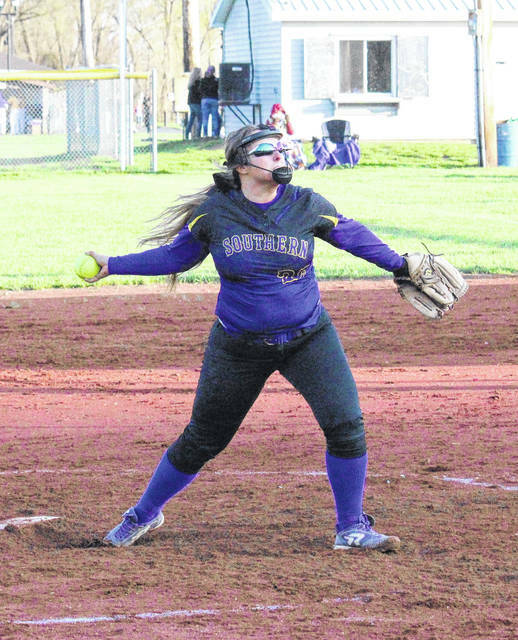 Cleland struck out four Lady Lancers and earned the win in a complete game for the Purple and Gold, allowing two earned runs on three hits, all in the fourth inning. Hill took the loss in four innings of work for the Lady Lancers, allowing 16 earned runs on 13 hits and nine walks, while striking out one batter. VanMeter led the hosts at the plate, going 3-for-4 with two home runs, six runs batted in and two runs scored. Lavender was 2-for-3 with a double and two runs, Cleland was 2-for-3 with a double and three RBIs, while Barton was 2-for-4 with two runs and one RBI. Roberts doubled once, scored three times and drove in three runs for SHS, Cundiff singled once, scored twice and drove in a pair of runs, Dailey singled once, scored once and drove in one run, while Kaitlyn DeLaCruz picked up a single and a run in the win. Grueser scored twice in the first game, while Jordan Harwick crossed home plate once. For FHHS, Mayle doubled once and drove in two runs, while Gould and Gillian both singled once and scored once. Neither team committed an error in the game. SHS left seven runners on base, while Federal Hocking stranded just one. In the second game of the twin-bill, with the Lady Tornadoes batting as the away team, neither team scored in the opening frame. SHS broke the scoreless tie in the top of the second, as Jolisha Ervin drove in Lavender. Later in the frame, Dailey, Grueser and Roberts scored on bases loaded walks, giving Southern a 4-0 advantage. The Lady Lancers got one run back in the bottom of the frame, as Clemons drove in Mayle. 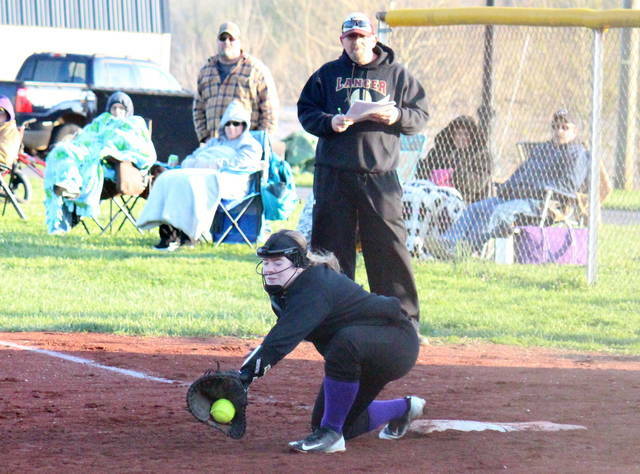 A doubleplay ended the Lady Tornadoes’ third frame before they could add on to their lead, but Lavender hit a two-run triple in the top of the fourth inning, making the SHS advantage 6-1. Federal Hocking answered with two runs of its own in the bottom of the fourth, as Dunfee was singled home by Simpson, who later scored on a groundout. After back-to-back walks to start the top of the fifth, Roberts hit a two-run single, stretching the Lady Tornado lead to 8-3. Roberts scored after three consecutive walks, and then Lavender cleared the bases with a three-run triple, giving SHS a 12-3 lead. Still with no outs in the inning, Dailey single home Lavender, and then scored on an error. With one out in the inning, Roberts hit a two-run double and then scored on a Kayla Boyer single, giving SHS a 17-3 advantage. Lavender then singled home Avery King for the final run of the Lady Tornadoes’ 18-3 triumph. Cleland was the winning pitcher of record again, striking out three batters in four innings, while allowing three unearned runs on a pair of hits. VanMeter pitched the final frame for SHS and struck out one batter. Clemons took the loss in a complete game for Federal Hocking, surrendering 18 runs, 16 earned, on nine hits and 21 walks, while striking out one batter. Lavender led the SHS offense, going 4-for-5 with a triple, two runs scored and six runs batted in. Roberts was 2-for-3 with a double, three runs and five RBIs, Dailey was 2-for-3 with two runs and one RBI, while Boyer was 1-for-1 with two runs and one RBI. King, Grueser, Barton and Hardwick each scored twice in the second game, while Cundiff crossed home plated once. Cleland and Ervin both earned an RBI in the win. Mayle and Simpson both singled once and scored once for FHHS, with Simpson also earning an RBI. LeMaster and Clemons both picked up one RBI, while Dunfee scored once for the Lady Lancers. Southern committed three errors and left nine runners on base, while Federal Hocking had two errors and four runners stranded. 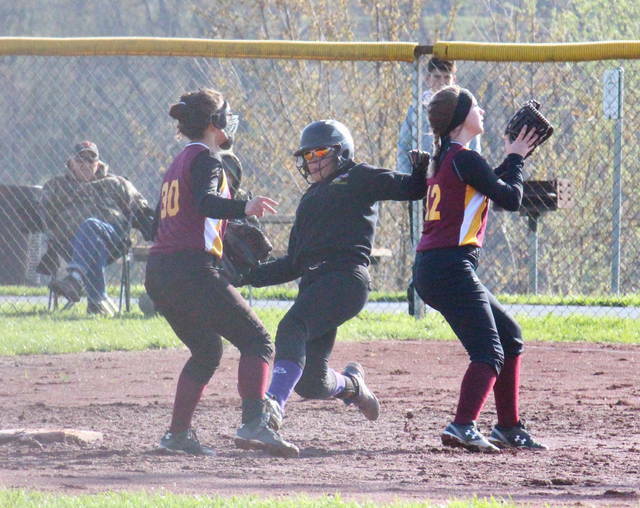 The Lady Tornadoes are back on the diamond at Roane County on Wednesday, and then will host South Gallia in a TVC Hocking doubleheader on Thursday.